Families Helping Families came about as a result of other parents just like you. In the early 90’s, families partnered with the Louisiana Developmental Disabilities Council to be the driving force that founded & formed FHF of Louisiana. It all began at a conference sponsored by the Louisiana Developmental Disabilities Council in 1988 that focused on community supports and services for people with disabilities. The conference was attended by many young parents, who wanted to have full inclusion for their children with disabilities, in the communities where they lived and worked.During the wrap up portion of the conference one parent asked that the flip chart full of great ideas to serve a purpose besides covering the walls. The Louisiana Developmental Disabilities Council took the challenge and began pilot projects and gathered information to write the legislation that createdAct 378 of 1989 known as the Community and Family Support Act. Families Helping Families is a family directed resource center whose mission is to provide information and referral, education and training and peer to peer support to individuals with disabilities and their families. Families Helping Families vision is to strengthen, support and empower individuals with disabilities and their families while promoting home and community inclusion. The road has sometimes been tough, but thousands of families have received help in connecting to services, understanding their rights and responsibilities, and enjoyed the opportunity to talk to someone who has been there. 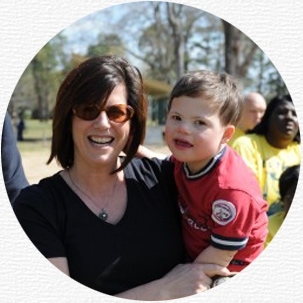 The Louisiana Developmental Disabilities Council has supported the centers throughout the years. Families Helping Families now has contracts to provide services to people with disabilities that are served by Children’s Special Health Services, the Louisiana State Department of Education, the Office for Citizens with Developmental Disabilities, the Office of Mental Health, Project PROMPT, the Office of Community Supports, and Louisiana Children’s Trust Fund to name a few. One of the first steps that the Council took was to hold forums in every region of the state to collect input from families and self-advocates so that the services they needed would be targeted. One of the services that families asked for over and over was a single place to get information and services.The Louisiana Developmental Disabilities Council formed committees to address the services and supports that families said they needed. One of the committees was Single Point of Entry. While the committee looked at how that could be achieved, other groups of parents and advocates were also addressing similar issues. The State Interagency Coordinating Council was mandated by Federal Law to involved families in the planning and education process of their state initiatives and hired a parent, Debbie Brand, as their coordinators. 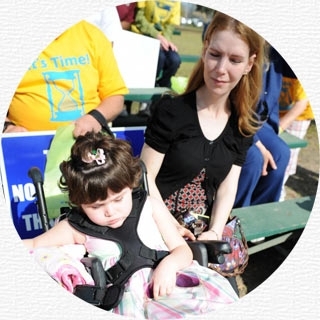 Debbie received strong support from Ann Farber, Executive Director of the Louisiana Developmental Disabilities Council. Under their leadership, and with funding from the Louisiana Developmental Disabilities Council and SICC, a project in San Jose, California called Parents Helping Parents was contacted for information and training on how to create resource centers in Louisiana.By the end of 1992 each region of the state was represented by a Families Helping Families Resource Center. The Louisiana Developmental Disabilities Council provided the funding and Project PROMPT and ChildNet provided some of the first personnel to staff the centers.Each center builds its programs based on the needs of its own region, but the common philosophy and dedication to supporting people with disabilities and their family members to live, work, and play in our communities.